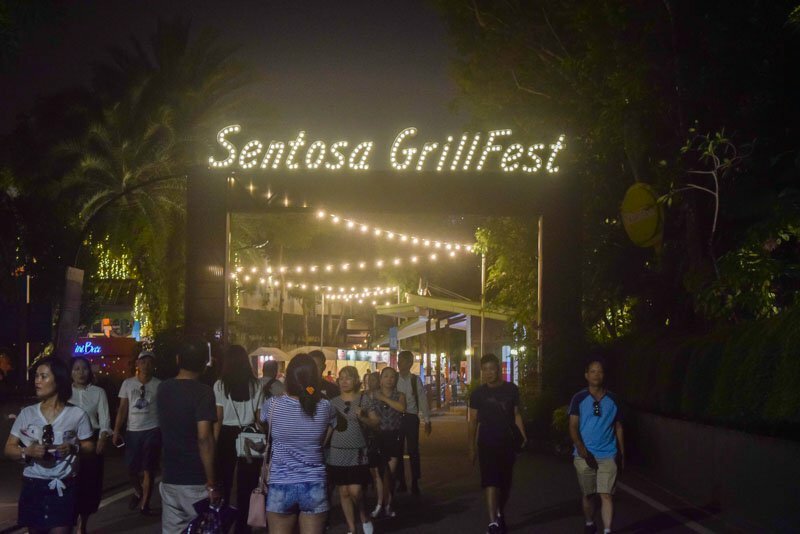 If you love the beach and food, head on down to Sentosa GrillFest 2018 from 13 – 29 July 2018, where you can feast on a 1km spread of food and drinks. You can even watch the sunset with a glass of champagne in your hand and your toes in the sand! Here are 8 reasons why you should head down to Sentosa GrillFest 2018. We get it, you are tired of the usual fairs selling the same type of food. Don’t worry, this event will have a wide and varied selection of food for you to choose from! International food? They’ve got it. Local food? Sure. BBQ delights and drinks? Sign me up already! Look out for the Tom Yum Prawn Burger from Craft ‘B! Juicy and cooked to perfection, you can taste the freshness in every bite. If you’re looking for more local food, try the Lobster Hokkien Mee by One Faber Group. It’s a must-try for its flavourful lobster. If you like the heat, ask for more chilli! You can boogie down and show off your dance moves, or simply tap your feet to the live performances if dancing is not your forté. Local acts such as The JumpStart, Pam Khi & The One Boy Band, and AnchorBlanc are set to serenade you at this event. The JumpStart plays a dynamic range of songs, including hits of the ’80s to the top 40 hits of today. So bring your dancing shoes! AnchorBlanc is a two-piece energetic band that sings Top 40 Songs with a twist of beatboxing. Who says Singapore is short of talent? There’ll also be a drumming ensemble accompanied by stilt walkers dressed as chefs; what a great way to get your hype on! There’s something for everyone at Sentosa GrillFest 2018. After all, there are more than 100 menu options to pick from. This year’s event showcases Sentosa’s F&B establishments, budding young hawkerpreneurs and second-generation hawkers presenting their culinary masterpieces. One of such is these crispy Patatas Bravas from FOC Sentosa that really hit the spot! Fried to perfection, these potato chunks were topped with generous dollops of mayonnaise and tomato sauce. In collaboration with ANGLISS, guests attending the Sentosa GrillFest will be able to curate and create their own seafood meal. It’s simple; just pick and choose your choice of raw ingredients and hand it over to the chef who will prepare it on-site for you. Who says personal chefs are only for the rich and famous? While you’re at Sentosa, check out the exclusive deals at Siloso Beach Resort, Le Méridien Singapore and The Kitchen Table at W Singapore. Siloso Beach Resort serves up arguably the best burgers on the island. With succulent made-to-order patties and fresh local greens, the burgers are topped off with creamy mayonnaise. They’re having a burger promotion, so go get your burgers with the choice of beef, chicken or fish at only $13. Le Méridien Singapore will be having an extensive Du-licious Discovery Buffet* ($80++ for adult, $40++ for child between 7 to 11 years old). Even better, quote “Feast at Sentosa” and one dines free with every three paying diners! If you’re more of a brunch person, you can get 25% off total bill when you pay with Mastercard® at The Kitchen Table. Well-known for their brunch selection and service, you’ll surely leave with a big smile on your face and a stomach full of treats. Trust me, this is something you don’t want to miss. Still hungry? Walk around the island and you’ll stumble upon restaurants to further satisfy your hunger. For wine lovers, SolePomodoro Trattoria Pizzeria at Quayside boasts an extensive selection of Italian and international wines to complement your meals. If you prefer to dip your toes in the sand instead, head down to Tanjong Beach Club and unwind by the beach with a drink while you’re there. Sounds like the perfect weekend getaway for you to leave the hustle and bustle of city life behind. Don’t we all love prizes? Here’s another reason you should come down to Sentosa GrillFest 2018: Sentosa is giving away 30 staycation sets of prizes for lucky patrons. Win a 2D1N stay in the Hill View Room at ONE°15 Marina Sentosa Cove worth $258 (yes, breakfast is included). If you’re looking forward to a fun day out, the Adult Sentosa Day Fun Pass – PLAY 3 (worth $96 per pair) will keep your energy up. All you have to do is spend $50 in a single receipt, and charge it to your Mastercard® from now till 12 August 2018. Remember to submit original receipts from any Sentosa F&B merchants, outlets and/or restaurants. 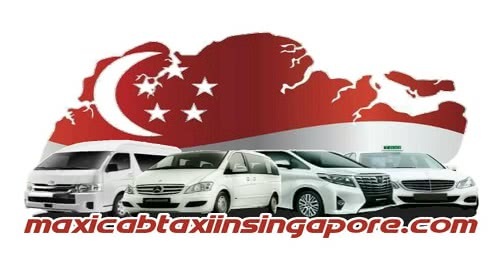 They have to be submitted with the Feast @ Sentosa Staycation Draw Slip into any of the Staycation Draw Boxes at Sentosa Station, Waterfront Station, Imbiah Station or Beach Station. Psst, if you’re a Sentosa Islander member, you’ll get double the chance! Anyone who’s been on Instagram for long enough will know that twinkling fairy lights, sumptuous food and gorgeous sunsets make up the holy trinity for a good Instagram photo. Snap away in between bites of this year’s latest selection, because with so much going on, there just isn’t any time to waste. You’ll definitely want to jio your foodie kakis down for this food festival! Who else will help you take you OOTD and candid shots? Besides, sharing is caring, so share some of that foodie joy with your friends. Who says Singapore is boring? Expect a long stretch of food stalls and live music on one of our beautiful beaches — sun’s out, smiles out, because good food is always a reason to smile.